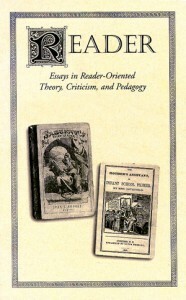 Reader is a semiannual publication that generates discussion on reader-oriented theory, criticism, and pedagogy. Originating in 1976 as a newsletter responding to the growing interest in reader-response criticism and theory within literary studies, this interdisciplinary journal now enjoys an international circulation and contributors from diverse backgrounds. It welcomes articles in areas such as literature, reading research, gender studies, rhetoric, composition, visual representation, and cultural studies. The journal is owned and published by Lafayette College with support from the English Department and the Provost. Reader is a member of the Conference of Editors of Learned Journals and is indexed in MLA Bibliographies, ProQuest, and ABELL.